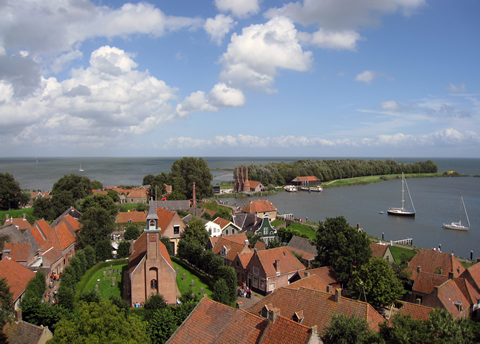 Discover Holland’s most beautiful open air museum. Admire more than 140 houses, workshops, shops, a church and a working windmill. Walk through authentic Dutch streets, along the old harbour with its wooden sailing vessels and experience life before the enclosure dyke ‘Afsluitdijk’. When you wish to discover Holland’s true heritage the Zuiderzeemuseum – Holland Open Air Museum cannot miss in your itinerary. 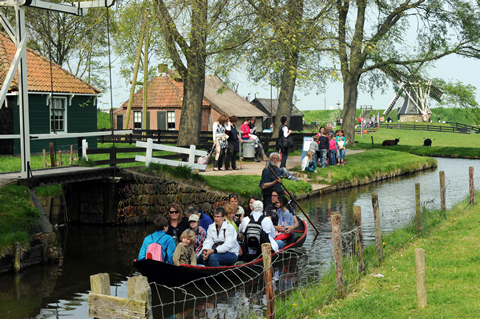 Where our fellow museums and parks show you our marvellous painters, our worldwide history, our tulips and bulbs, cheeses and canals, Zuiderzeemuseum takes you back to the days between 1850 and 1932, before the dyke closed and the see became a lake. We share our culture and heritage with you the way it was. In our open air museum you will find over 140 buildings and structures, such as houses, workshops, shops, a church, a working windmill, canals, an old harbour, an old shipyard, a cheese warehouse, a sail maker, a blacksmith, steam laundered, a cooper and much, much more. The 2016 season will be about remembering the floods of 1916, which directly lead to the construction of the enclosure dyke. The 1916 floods caused much damage and death through the area all the way into Amsterdam. In one of our streets we will recreate what it looked like, felt like, smelt like after the water had cleared, but the rubble, death and devastation remained. Although the dyke kept us safe for over 80 years, will it in the future?